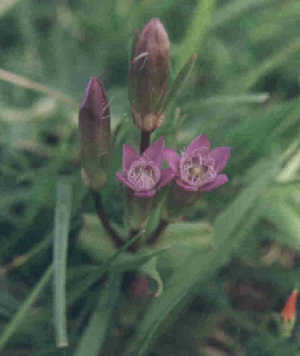 The Oxfordshire Flora Group (formerly the Rare Plants Group) is a part of The Ashmolean Natural History Society of Oxfordshire. Based in Oxford, it works with local and national organisations. NEW FLORA GUARDIANS ARE ALWAYS NEEDED. get in touch with the Flora Guardian Coordinator if you would like to become a Flora Guardian. Membership of the ANHSO automatically confers membership of the OFG. If you would like to join, please complete the Membership Application Form and return it. The work on species and sites is organised by a system of Flora Guardians managed by a Flora Guardian Coordinator and a small committee which deals with administrative matters. New Flora Guardians are always needed; get in touch with the Flora Guardian Coordinator if you would like to become a Flora Guardian. At the beginning of 2013, for various reasons, we reorganised the way we work. For many of our species we needed to alter the character of the work we do and the time was ripe to change the way the group operates and to widen the nature of our remit. Botanical recording for the BSBI Atlas 2020+. An enlarged committee was formed and throughout 2013, work went forward on putting into place suitable systems which would enable the reconstituted group to function efficiently. This organisational work is now nearing completion and 2013 and 2014 also saw much of the usual work on rare plants continuing as before. The Group runs an annual series of lectures on the conservation of plants in Britain and abroad, held by kind permission of Professor Ratcliffe at the University of Oxford Department of Plant Sciences. See the programme for more details about the lectures. Accounts of the latter two can be found in the journal Fritillary. Also we hold regular meetings for Flora Guardians and occasional conferences, open to anyone interested. Administratively the group operates by quarterly meetings. These have a formal agenda and the group has a formal constitution. Annual meetings are held with Natural England to assess progress and plan future action. A charge is made for volunteer-hours which is used to fund travel, training and purchase of tools and books. The accounts are audited and presented, with the newsletter as an annual report, at the AGM of the Ashmolean Natural History Society of Oxfordshire. Each plant or habitat has a “Flora Guardian” who coordinates work on the species or habitat and reports regularly by means of a “cloud” site. These reports are summarised annually in the newsletter. The Rare Plants Group promoted the formation of the Wychwood Flora Group initially the Cotswold Rare Plants Group, which works with us on Meadow clary, Salvia pratensis and Cotswold Pennycress, Microthlaspi perfoliatum and independently on other species. 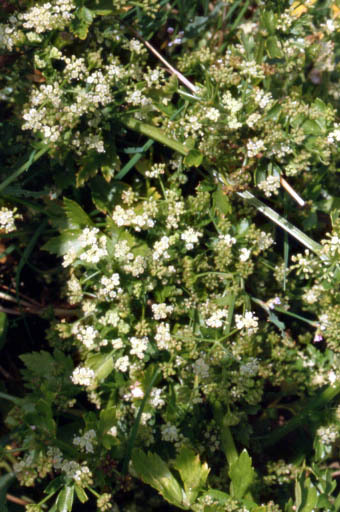 We also helped with the inaugural meeting of the Somerset Rare Plants Group. We think that the format of these groups is an important tool which can be developed and exported to play an expanding role in the UK response to the Rio Convention on biodiversity. The Oxfordshire Flora Group works with many other agencies who are all listed on the page of related organisations. In conjunction with the Thames Valley Environmental Records Centre and the Botanical Society of Britain and Ireland, Oxfordshire Flora Group contributed to work on a Rare Plants Register for Oxfordshire, now published as Oxfordshire’s Threatend Plantsby Pisces Publications. Go to the Rare Plants Register page to find out more. 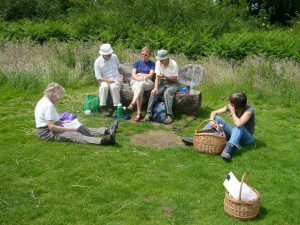 In 2007, we held a workshop on hay-meadows, spread over three Saturdays. The topics covered were so interesting and the material so useful that we are publishing the majority of it in a special edition of Fritillary, our on-line journal. Go to Fritillary to find out more about this. Since 1996, the Rare Plants Group has published an annual newsletter. We’re hoping to put them all on line. In the meantime here are some of them.